This is a shortened version of the beginning of a mini-biography which was written for his grandson, Mr Yanto Evans, whilst I was studying his Family History and writing his Family Tree. Tommy was born in his mother's home town, Brighton, in 1888. He appears with his parents in Shoreditch in the East End of London on the 1901 census. His father, William Evans, was a coffee-grinder. His mother’s father, Thomas William Henry Trangmar, was a stone-breaker. As a ten-year-old he was already a champion boxer, winning the East London Boys’ 5-Stone title in 1899. I wanted to be a soldier and wear a red coat. My father belonged to a Volunteer Regiment and perhaps this had some effect on me, seeing him go out dressed in Regimental Uniform on Saturday afternoons. Accordingly, he joined the 1st Battalion of The Royal Scots as a bands-boy in November 1903. Here, he recalled stiff discipline, practical jokes and mastering various instruments, principally the clarinet. I arrived at the huts in Blackdown about tea time, 4.30pm, and was put under the charge of Teddy O’Neil, a piccolo player who had served most of his time in the Band of the 2nd Battalion. The first night was spent in hearing great tales of India from O’Neil. I remember one where you put your hand out of the window and picked Bannanas [sic]. And from those impressions we all awaited the day we sailed for India and the 2nd Battalion. About 10pm the first evening, O’Neil informed us that it was the duty of all new hands to whitewash the Last Post in the centre of the parade ground. Off we went looking for the post till seen by Black Smith, then RSM, taking Staff Parade. I don’t remember what happened to O’Neil about it, but when the joke was explained to us, we were quite satisfied to be caught, hoping to catch the next recruits. His recollections have a refreshing innocence; the man in his seventies easily slipping back into the mind of the boy of fifteen. Tommy always writes with an immense fondness for his battalion. Clearly, these were happy times. The day of the Big Ship and White Helmet soon arrived, and on 4th of February 1904 we embarked for India on HT Plassy. The Officer in charge of Draft was Lieutenant Seweard, who looked after us boys with great care. We found one day all the Boys of the Royals were entered for the boys’ boxing competition, without anyone asking if we would. I think we all wanted not to enter, but when told by one John Bowers, who was a Colour Sergeant travelling back from leave, that we had to enter, there was no backing out of it. I was lucky and arrived in the final after two fights, but I had to meet a big trumpeter of the RGA named Upson. He was five foot ten, my height being four foot ten, so the Captain of the boat thought it would not be a good match and the prize money was divided and I was started on my boxing. His officers had seen enough to gauge his potential. They fostered his talent, sending him around India to take part in matches. I was entered for the Boys’ Championship at Poona, and travelled there on my own. I had no option to enter. My reputation of the boxing on the boat had been passed on by John Bowers. I was beaten in the final, but I had the satisfaction of beating the boy who was too big for me on the ship. By 1905 he was the Army's Boy Champion of India. There were some wonderful football matches in those days…There were many challenge matches such as Scotand vs The World, England vs Ireland. It was during these matches that one understood Love of Country and Company. There were very few matches that did not finish up with a fight on the side line where the whole battalion were lined up by Country or Company. Whilst in India Tommy played hockey and cricket for his Company, but, of course, it was always boxing where he excelled. In 1906, the battalion sent a team of boxers to Simla. Tommy lost in the final on a memorable night when two officers were boxing in the ring where the whole building rocked from side to side… my first earthquake shock. He continues: An impression I shall always remember was receiving my prize from the Commander In Chief, Lord Kitchener. He looked to one a giant, and what a soldier should be. I caught Cholera and went into hospital for a month. Caused through eating a banana on coming off road work. The battalion sailed for home in February 1909 on HT Dongala, arriving at Southampton in March and journeying north to Edinburgh in snow. In January  I entered for the Army and Navy Boxing Tournament run by the National Sporting Club in Covent Garden. I won the Feather weight at 9 stone 4 pounds beating one Dusty Miller, who most serving officers know. He relieved me at Sandhurst as boxing instructor in 1921. It was due to the help I received from Jouney Newman, late of the 1st Battalion, who came to my corner in the Final. Jouney, as most Royals know, was a great boxer. He was often in France in the days when the Frenchmen used their feet as well as their hands. His method of introduction was very funny to me at the time. While I was waiting in the dressing room for the final, this man came in shouting, “Where’s this B*** Royal Scots?” and pushing others out of the way. In a meek voice I told him I was a Royal Scot. He stole others’ embrocation and forced me on a table and rubbed me down till the time came for me to enter the ring. I was taught in the next few weeks at different Clubs in London all the tricks of boxing used by the professionals, which stood me in good stead later. I took up Professional Boxing by boxing in Glasgow, where I met Jimmy Kelly who also appeared to think no one should be in the way of a Royal Scot. Although I did not drink, he took me around the pubs announcing I was a Royal Scot. This shocked me a bit, but I got used to meeting these Royal Scots whose only thought was of the Old Regiment and helping those present Royals. Whilst in Edinburgh in 1910, Tommy met Helen Laidlaw. Family legend has it that she was already engaged to the heir of the Lipton’s Tea Empire. Her own background, though, was very much more humble, and I think this may simply have been wishful thinking. However it may be, they were married on 3rd February 1911. Boxed Eddie Beattie 10 stone champion of Scotland to a draw. Best performance to date. In February I enter the holy state of matrimony. Adding in pencil: married off the strength weekly pay 10 shillings. Tommy and Helen continued to be based in Edinburgh where Tommy became Feather-weight Champion of Scotland. 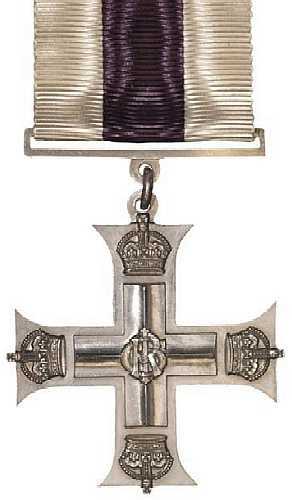 A title he successfully defended three times between 1914 and 1919. Miles Templeton’s research on Tommy’s boxing career gives an interesting insight in to his life. It shows him travelling regularly around the country to take part in matches at time when most working class people seldom travelled any distance at all. If you would like to read the rest of Tommy's story, please contact me and (with Yanto's permission) I will let you have the full version and pictures.